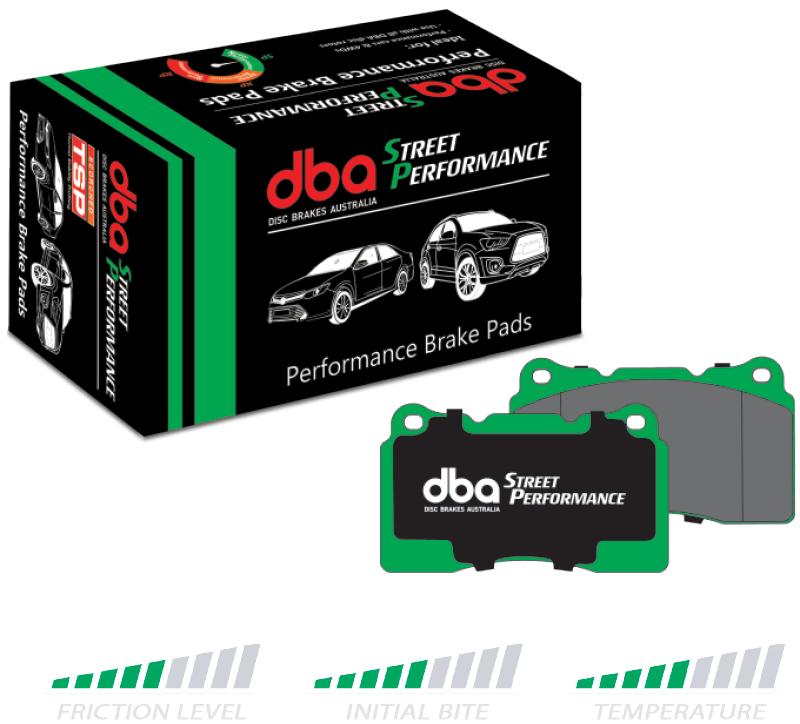 DBA’s Street Performance (SP) brake pads have been designed for drivers seeking improved braking performance over traditional O.E. brake pads. DBA Street Performance is the next step up for all vehicles, developed to provide an effective friction response to pedal application and offer low wear and dust minimisation. DBA recommend Street Performance brake pads for daily driver and performance vehicles, 4WD’s and SUV’s. They are also compatible with light commercial and trade vehicles. DBA recommends using these brake pads with DBA T2 or T3 slotted rotors for optimum braking power. DBA Street Performance part numbers are denoted by the suffix (SP).